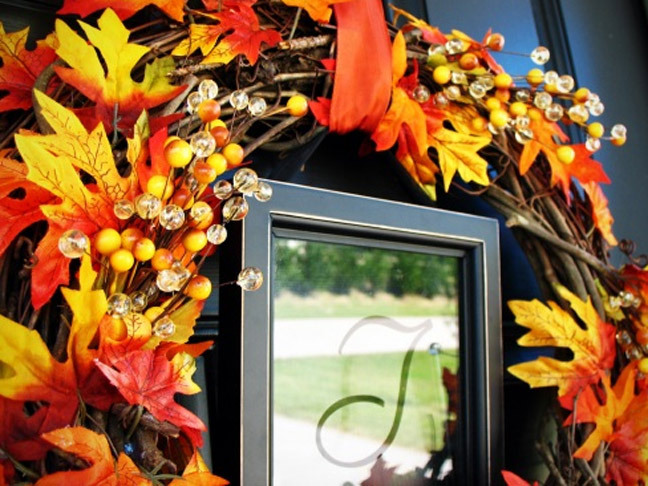 Welcome fall to your home with these great DIY wreaths! Fall is full of such beautiful colors, they’re so inspiring for making crafts. 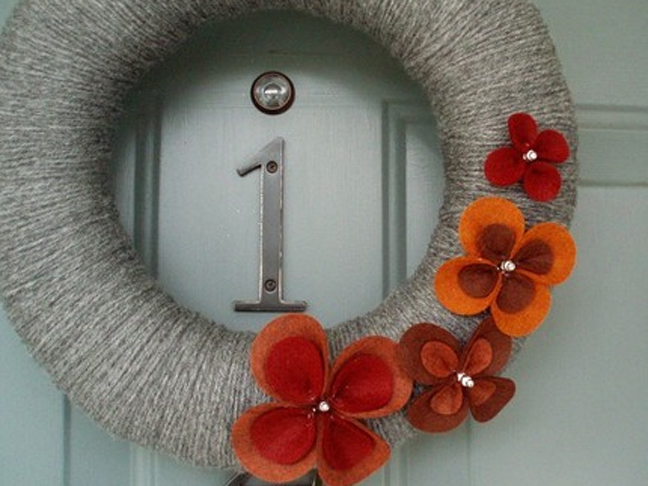 One classic autumn craft is making a wreath! The possibilities are endless with what materials you use and how you construct it. It’s also a fun activity to do with children of all ages, they’ll feel proud to see the wreath they helped with adorning your front door through Thanksgiving. 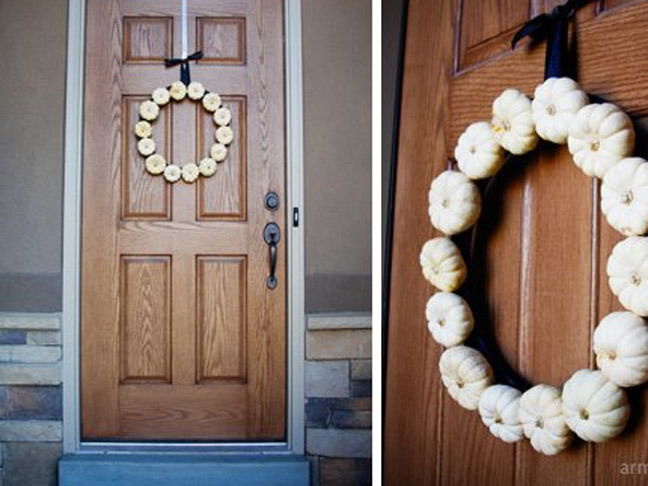 Here’s a roundup of some of my favorite DIY wreaths! Autumn leaves wrapped with ribbon. 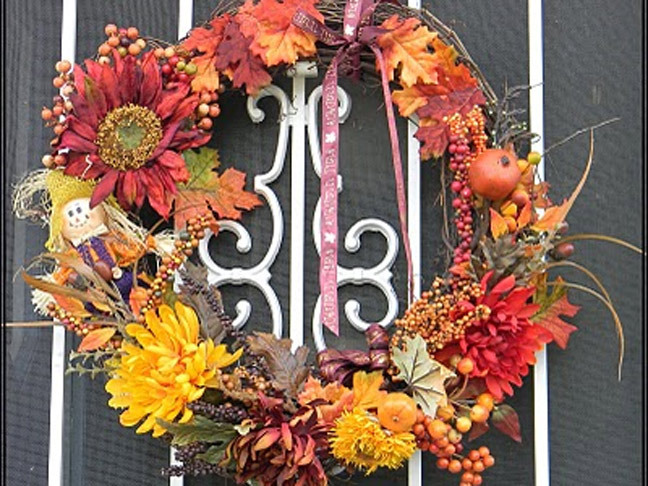 Fall flowers and leaves adorn this wreath. 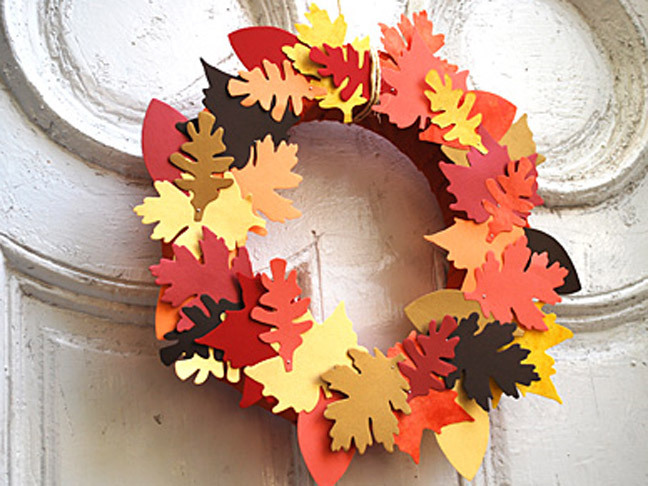 )A fun project with kids – this paper leaf wreath. A fun wreath wrapped with yarn and felt flowers. A mini pumpkin wreath, how fun! 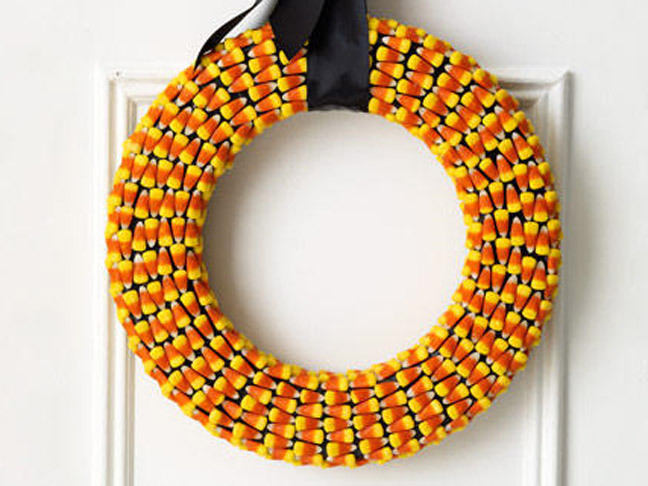 I love this candy corn wreath. Would be fun to do with kids as well. (102810-fallwreaths7.jpg)This is a pretty one made of colorful fall paper.